Again another beautiful day up here, just loving this summer! Results from Twilight Round 1 On Thursday 31st January 1st was Team Professionals 62, 2nd Team Constructables 58, Individual 1st Kane Lloyd 22, Individual 2nd, Rick Lister 21. Round 2 was played last night, 1st Team was Loose Screws 63, 2nd Team Bogeymen 56, 1st Individual Calum Stewart, 2nd Individual Kerry Baines 22. Good Luck for next Thursday teams!!!! It has been noticed by a number of members that someone has been using #14 as a practise green, this is unacceptable. You are all aware where you can and can-not practise. Good Luck to our Mashies Team playing at Trentham on Saturday 9th February. The team for tomorrow is Fernando Williams, Graeme Somerville, Dave Anderson, Nick Holmes, Jason Robinson, Alex Ross, Eru Kaiawha, Greg Judd (Captain), Meka Boynton, Keith Morris. Let be winners Guys!!! Saturday 9th February course is closed for the Cossie Club Golf Charity Tournament. Please remember that on Club Day the 17th March the course will be closed all day for the St Paddy’s Day Tournament, grab those bonus cards now and book at Judgeford or Shandon for a round, or if you are keen to play in the Tournament I have put a registration form in the Men’s Locker rooms plus on the club board by the office for you to register. Don’t forget this fills up very quickly so you all have the opportunity to register early..
Division 6 who came up from Division 7 last year played Miramar and totally whipped them 13-2 with 9 out of their 10 players winning their single matches. The following players won both their singles and 4 ball matches: James Omundsen/Allan Fayen, Rob McIntyre/Mal Wellington, Paul Hammond/Dean Alexander, Allan Old/Chris Brooks. Warwick Evans won his singles match.- excellent team efforts guy!!! Division 2 played at Mahunga and won 8 -7, with singles victories to Dave Workman, Dave Render, Daniel Hailwood, Jamie, Gray and Sean Girling. Top results from Daniel Hailwood and Jamie Gray, who also won their 4 ball matches. 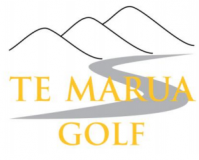 The following also contributed points through 4-ball results: Dave Workman and Dave Render (half in the 4-ball), Leigeon Tumataroa (halved his singles match and the 4-all with his playing partner, Daniel Hailwood ) plus Tai Walters won his 4-ball match with his playing partner Jamie Gray. – You guys are awesome!!! Keep up the good work!! Division 9 achieved a solid 10-5 win against Boulcott, with singles victories to Mark Holley, Wayne Bach, Jim Walsh, Brent Leader, Mel Phillips, Callum Stewart and Mike Smith. Awesome results from Mark Holley, Wayne Back and Mel Phillips who also won their 4-ball matches. Two pairings halved their 4-ball matches: Jim Walsh/ Brent Leader and Brett Keno/Callum Stewart. Division 3 had a very creditable 6-9 loss at Royal Wellington with a hot afternoon game, they are pretty happy picking up 6 points playing away from home. Stand out pairs were Wayne/Noel who took all 3 points and Mark/Ian who took 2.5 points. D.O.T.D. went to Vance Plumridge,. Player of the day Wayne Bach and team of the day Wayne/Noel. Tremendous work team!!! !l – keep up the great golfing!!! In the office we have all members Subscription Notices. Please pick up your Subscription Notice when you up here playing golf, and if wanting to change your status let us know!!! Sunday – Club Day – Golfer of the year RD1, Plus RD2 of the Summer Cup for the men – Women LGU, Putts for the Women. Monday – limited tee times WGI Silver Pennants are playing here, – Morning tea at 8.30am then teeing off at 9.15am on #1 and #10 – Matchplay. Wednesday – LGU,Putts for the women, plus Ready Steady Golf for schoolchildren using the practise fairway and then Twilight Golf between 5 & 6.